The SS-M16 features a tread that has 2 plies each of steel, polyester, and nylon. The tread design looks like a detuned Bogger and the compound is grippy. The sidewall has two polyester plies. If you think two-ply sidewalls are weaker than, say, three-ply sidewalls, take a look at many semi truck tires that have one-ply sidewalls, yet are thick and tough. The number of plies in a sidewall is only one factor in determining strength. The SS-M16’s sidewall is stronger than many tires available today. 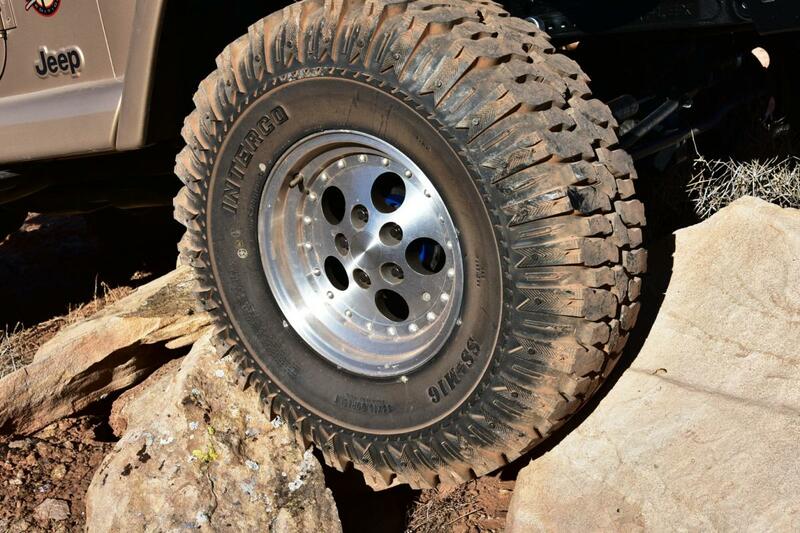 An added bonus is the sidewall lugs that protect the tire from sharp rocks, sticks, and anything else that might cause harm. 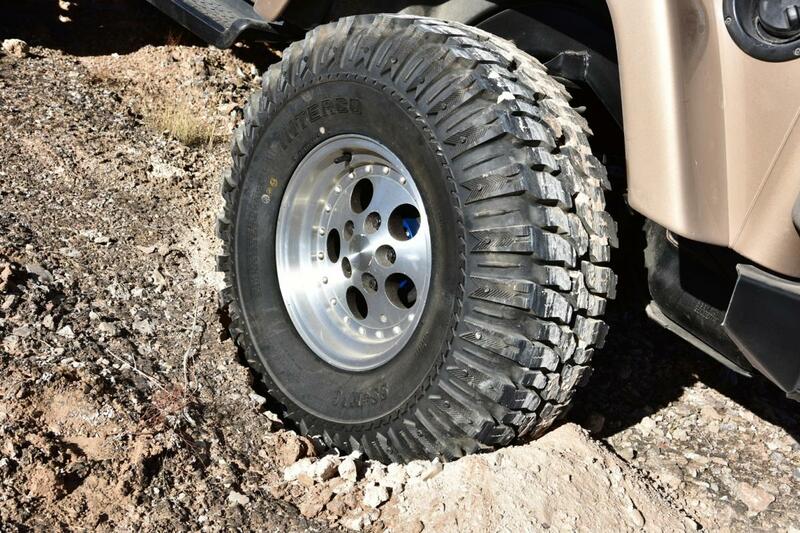 This added tread also helps with traction when aired down. The sidewall has “M16” features with bullets and chevrons molded in. Many like the way they look. We’ll say no more about that. 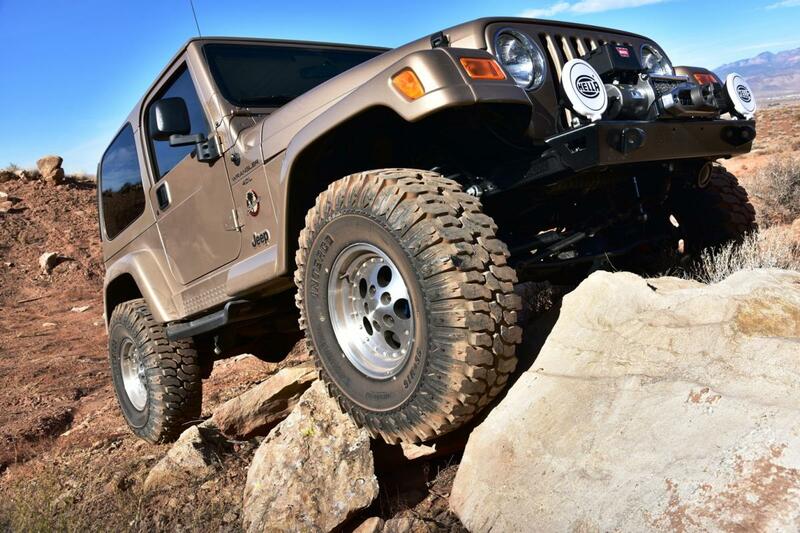 When we mounted the 33×10.50R15LT SS-M16s on our TJ Wrangler and headed for the dirt, we found highway ride to be surprisingly supple for a tire with such beefy sidewalls. The rubber was grippy on the pavement and the tires were well balanced, had no radial or lateral runout (in other words – they’re round) so ran smoothly. They exhibited some noise on the pavement. Not bad, but noticeable. Once in the dirt, we aired down to eight psi, shifted into 4WD, and were stunned. Tweener tires are supposed to work okay in many mediums, but not great anywhere. The SS-M16 provided outstanding loose dirt traction at low or high speeds. 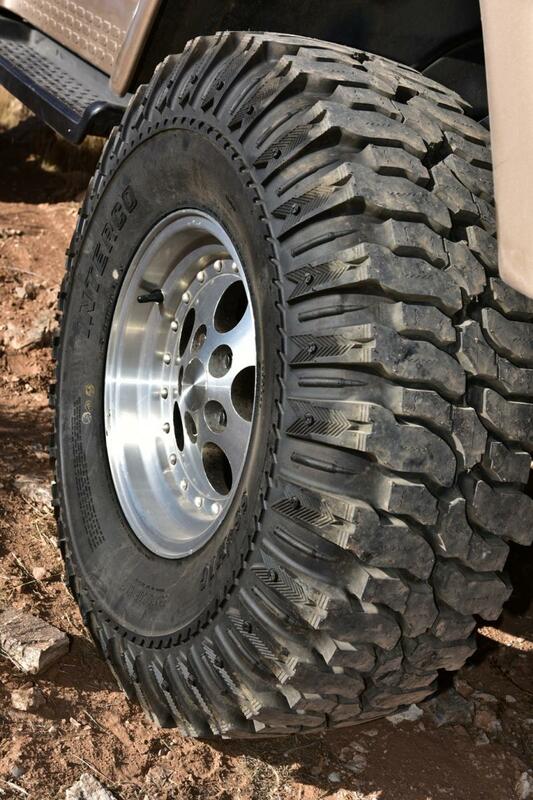 We figured with the Bogger-looking tread, the tires wouldn’t have good lateral grip. We were wrong. The SS-M16s were actually hard to power slide or drift around corners they gripped so well. Once on the rocks, they worked and the peace of mind and extra traction afforded by the side lugs were added benefits. Sand performance was surprisingly good and the tread and side lugs kept us moving up even steep dunes. 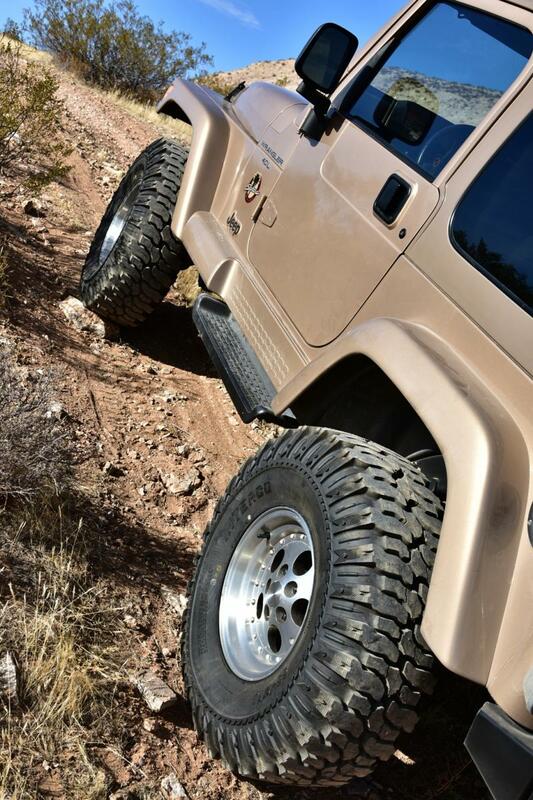 This test was performed in the Southwest where we’re experiencing a long drought, so we can’t report on mud performance, but can safely say, with the tread design they have, the SS-M16 will work as well or better than many so-called mud tires. 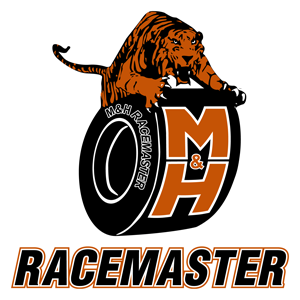 Tire tech has come a long way over the years and there are many good tires available today. Seldom, though, do we come across a tire that’s designed to do everything, a tweener, that works so well in so many mediums. The Interco SS-M16 is one of those tires. Now, Interco, how about keeping the side lugs on both sides of the tire but mold the bullets and chevrons on only one side . 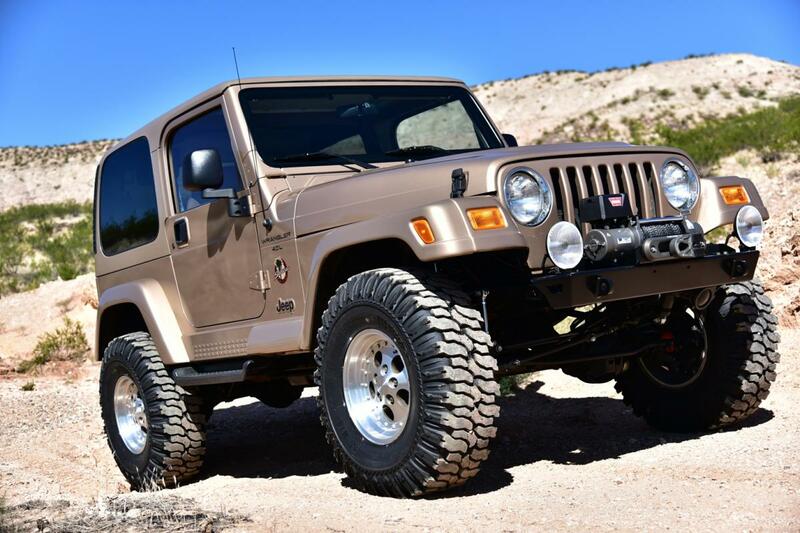 . .
We mounted 33×10.50R15LT Interco SS-M16 tires on the Tj’s OEM 15×8 Gambler wheels. Check out the M16’s deep tread and side lugs. The 10.50 section width wasn’t too much different than a 12.50. The narrower tire didn’t exhibit weird lateral movement when aired down to eight psi. The SS-M16 provided great traction in loose dirt on even the steepest climbs. 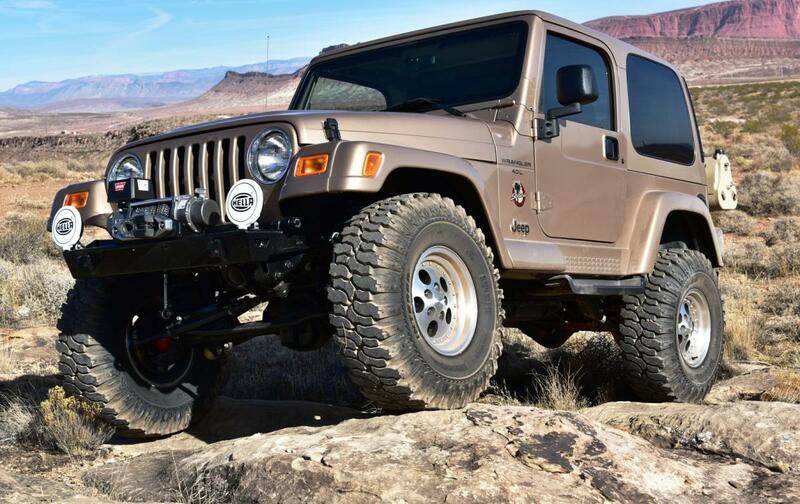 The sidewalls show no flex on the lightweight TJ Wrangler in these photos, yet the tires do flex and the ride/traction is outstanding when aired down. 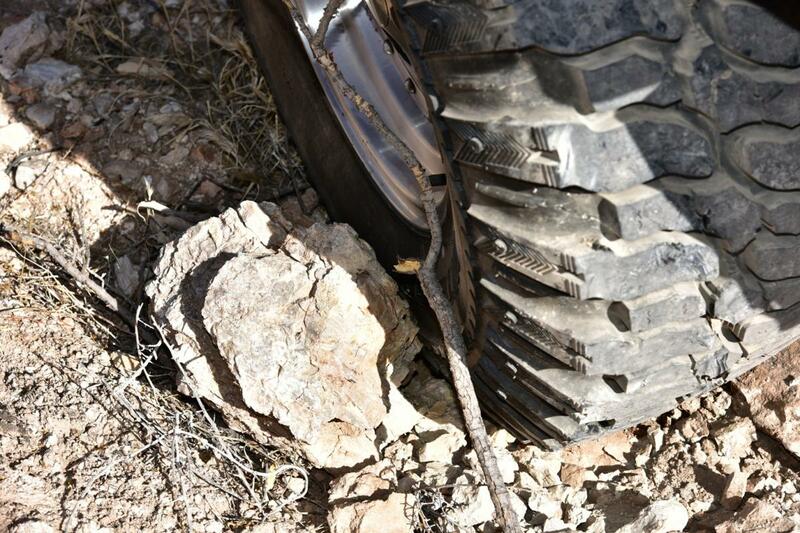 Sometimes in the Southwestern desert, tires need to dig through the loose upper layer to get to where the traction is. The SS-M16s do this well. 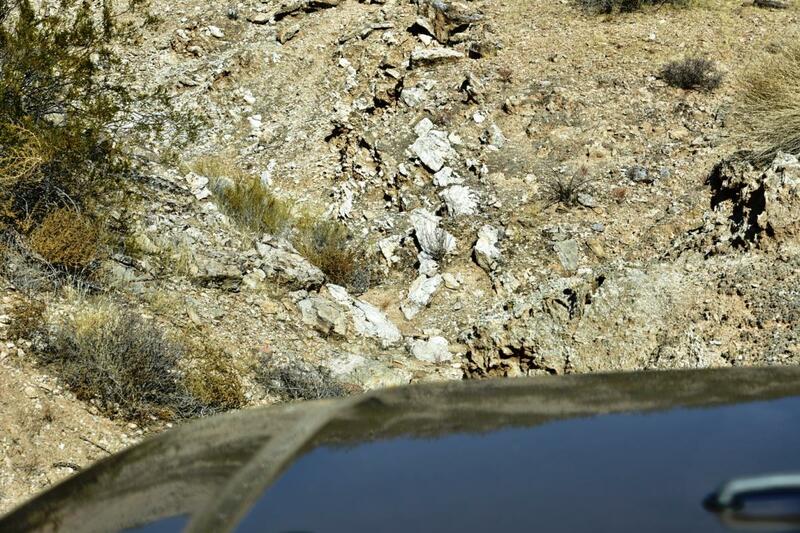 When the slot canyon ahead looks like this, it’s good to know you have a tough tire with sidewall protection on your 4×4. This photo looks posed, but it’s not. The SS-M16’s sidewall lugs guard against sharp rock and stick damage. Admit it – looks matter. The Interco SS-M16 is a great looking tire. It’s good to know that the good looks are only a small part of their performance package. As past Editor-n-Chief of 4Wheel Drive & Sport Utility and Off-Road Magazines, and co-host of the Outdoor Channel's Four Wheeler TV, Phil's been participating and bringing four-wheeling action to the world for over half a century.